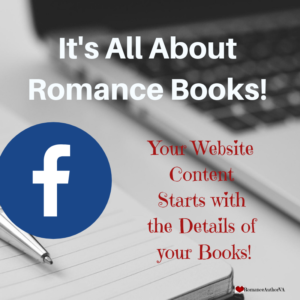 The Romance Author's Virtual Assistant – Your Website Content Starts with the Details of your Books! Let’s get your books out of your head! I have a question for you? How often do you think about your stories? How often do you think about your characters, your plotline, or your scenes? I bet, you think about them while you’re doing just about everything. You think about aspects of your romance story while you’re brushing your teeth or your cooking or maybe even while you’re trying to sleep. Do you need some place to put all of those details that keep running through your head? I imagine that all those details can become quite overwhelming and maybe even frustrating. But you need them in order to accurately write your story! 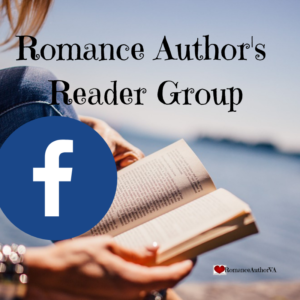 As The Romance Author’s Virtual Assistant, I’ve created the Bible Series! This Series will help you get your story out of your head and in front of you so you can easily write your story and not be overwhelmed with the details. Filled with so many Romance Story Ideas that you don’t know what do to with all of them, then you’re gonna want to have the Idea Bible! a printable workbook that you can customize to your hearts content!! a place to keep track of your random thoughts, ideas and details that go through your head! a place to keep track of the many romance story ideas that you WANT to write! Click the cover for Your FREE Idea Bible! Ready to take your One Idea and make it into a full Romance Story, then you’ll want the Book Bible! Ready to add NEW Content Ideas to entice your readers to sign up to your website, then you’ll need the Content Bible! Ready to take your One Romance Story and make it into a Romance Book Series, then you’ll want the Series Bible! Books to help you write yours! !